It’s time. 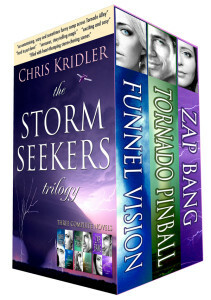 My Storm Seekers Trilogy is now available in a digital boxed set and is on sale for $5.99. What’s a digital boxed set? 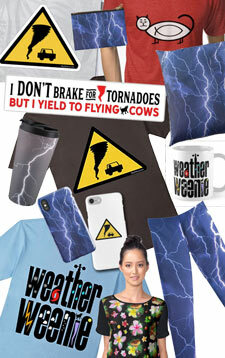 It’s all three novels of my storm-chasing adventures, Funnel Vision, Tornado Pinball and Zap Bang, in one e-book volume. Ready for a binge-read? You can get it for Kindle and the free Kindle app (it’s easy to give on Amazon, too), as well as iBooks, Nook and Kobo. Get all the links on the books page. The first three books each can stand alone, but they also work together as a trilogy. I intend to continue the series at some point. 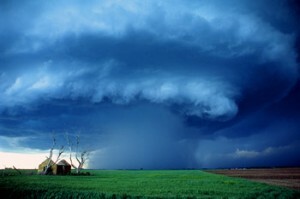 For the past year, I’ve been quietly writing a romance series, but new Storm Seekers stories are brewing in my brain. Thanks so much to everyone who has read and reviewed the books!